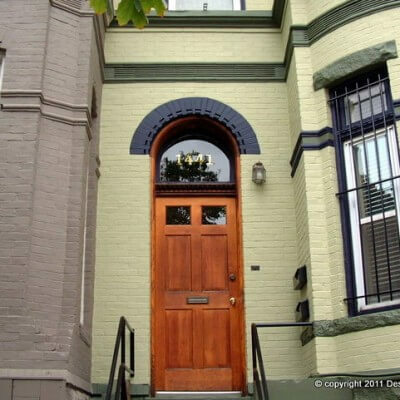 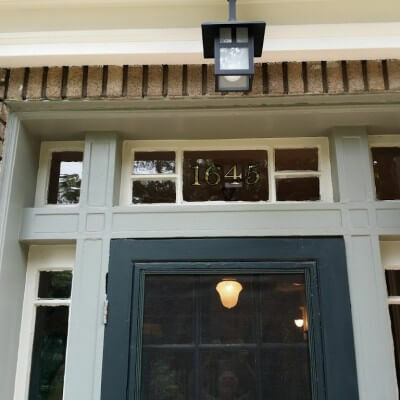 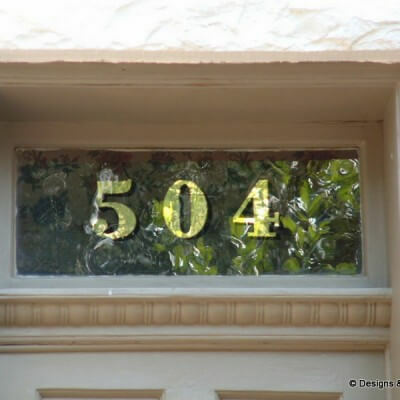 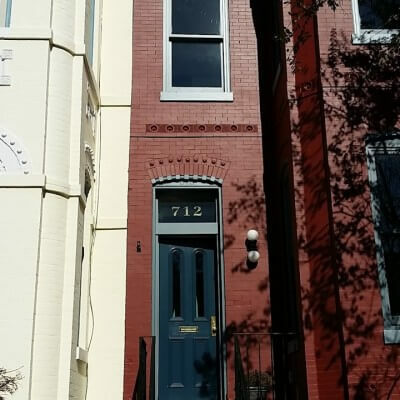 1645 – Gold Leaf Address Numbers on an historic home in Washington DC. 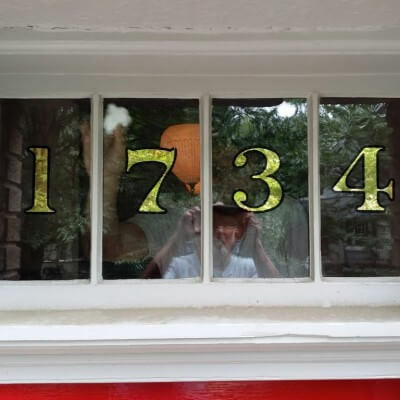 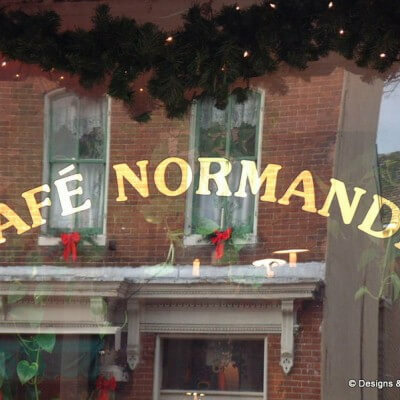 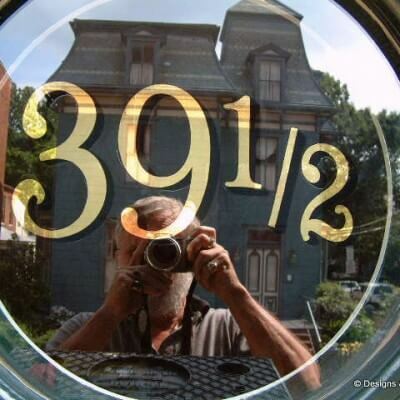 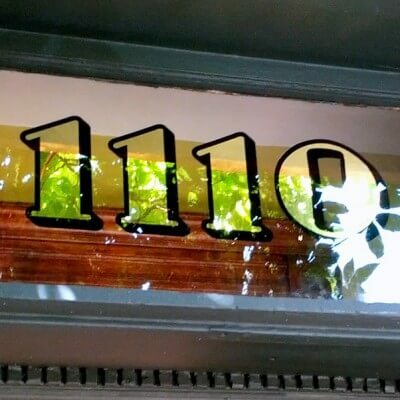 A classic font, double gold leaf mirror numbers with a thin black painted outline. 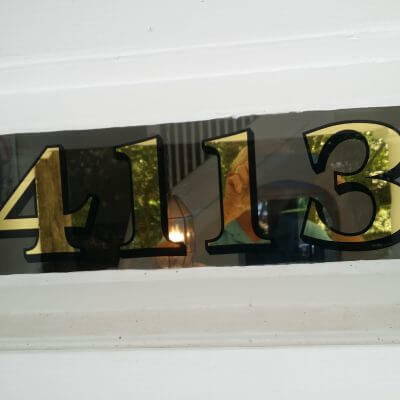 Gold Leaf Address Numbers applied by hand. 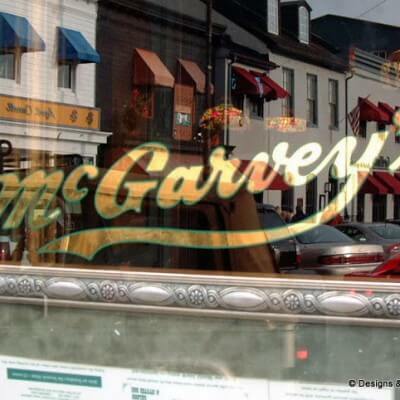 There’s no substitute for 23 karat gold leaf. 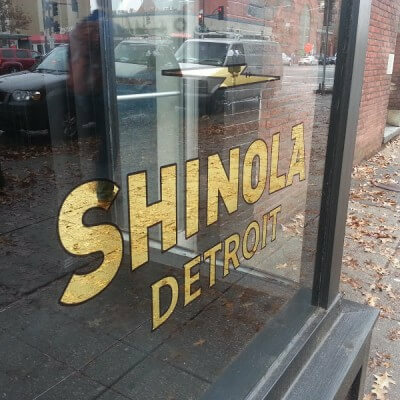 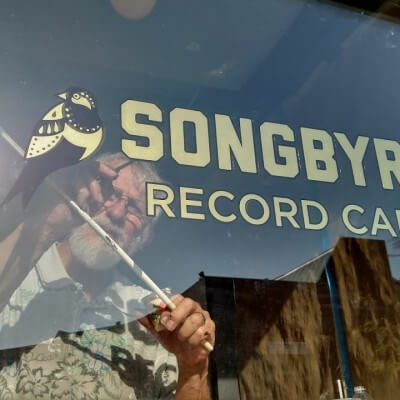 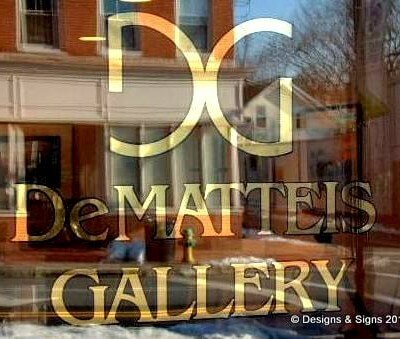 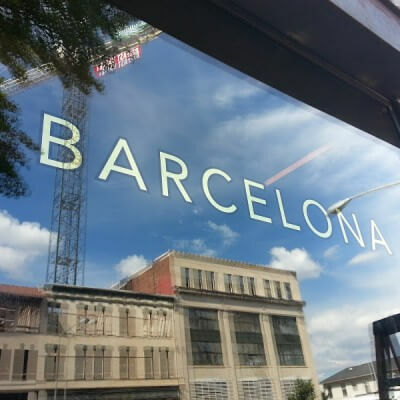 We use only the best materials for all of our glass gilding projects and hand-made gold leaf signs! 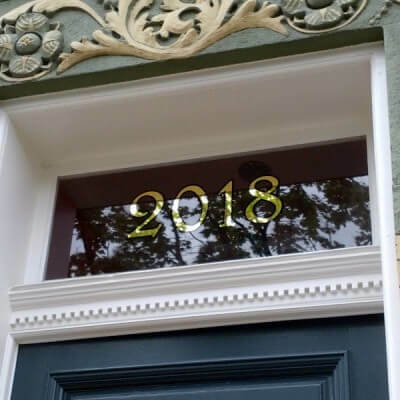 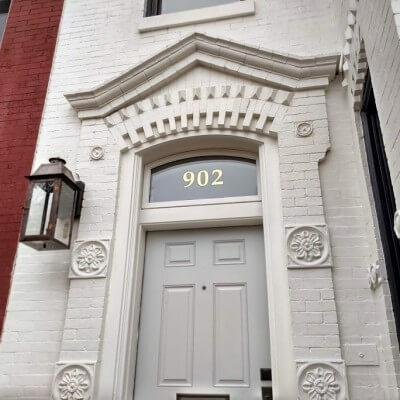 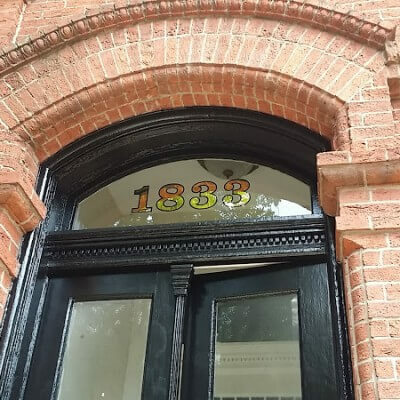 Gold leaf transom numbers in Washington, DC. 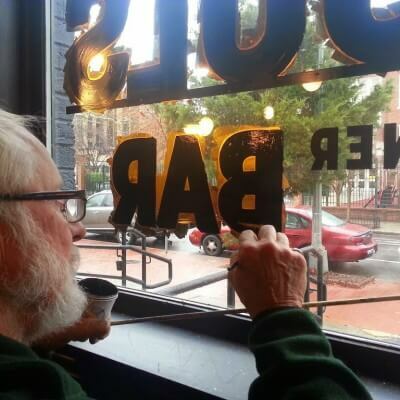 Glass gilding, 23 karat double gold leaf applied by hand. 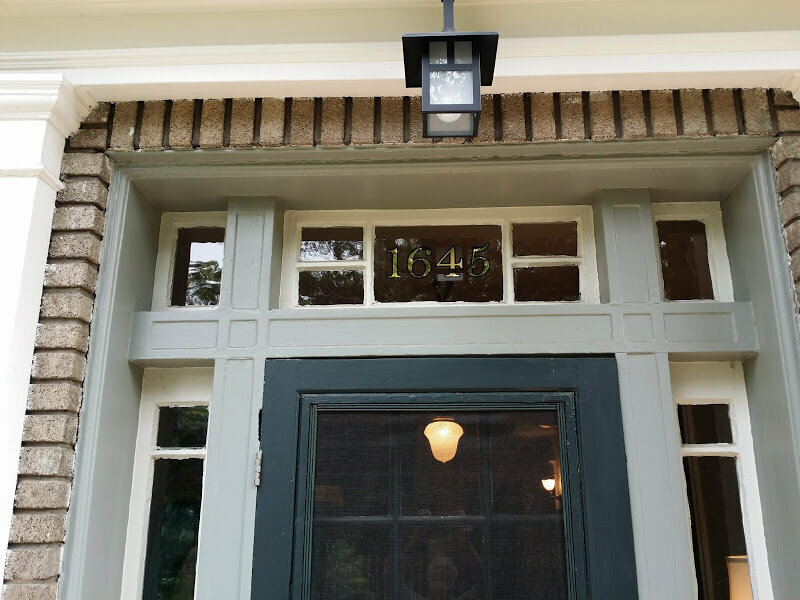 Painted black outline and protective black backup paint. 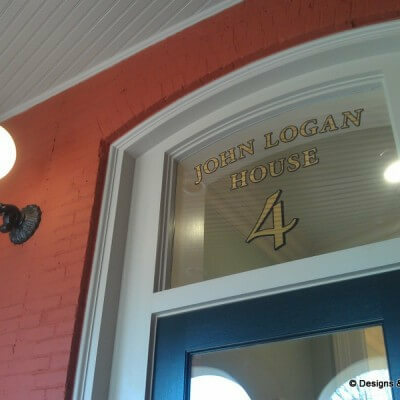 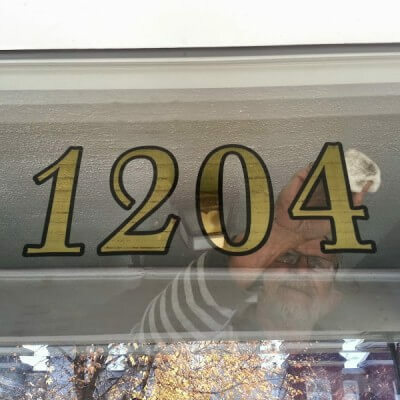 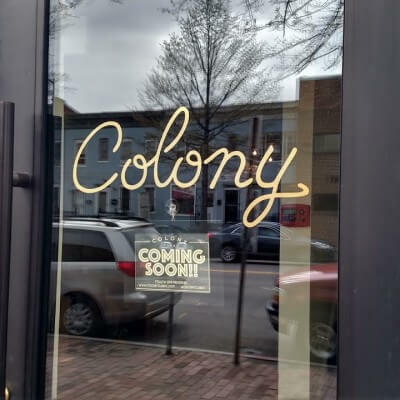 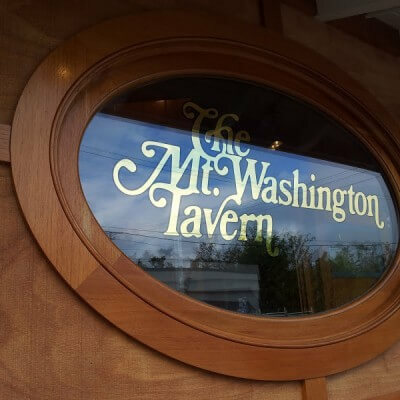 We have designed and installed gold leaf lettering and logos for hundreds of homes and businesses in Washington DC, Annapolis and Baltimore.